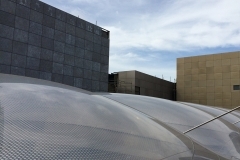 ETFE film, or Ethylene Tetra Fluoro Ethylene, is quickly becoming one of the most in-demand materials across the architectural design industry. Thanks to its lightweight nature and versatile applications, this membrane now competes with heavier conventional materials. High translucency, low mass and an excellent life expectancy make ETFE a sound option for large-span roofing, skylights, facades and art structures. 1. You are thinking of glass, but it’s expensive. Glass is approximately 94% heavier than ETFE foil. Membrane foil is a lighter weight option that provides the same longevity as glass, and requires less structural elements. It is easier and faster to install, and will be more cost effective overall. 2. You want to bring the outdoors inside in an enclosed or covered space. ETFE has the option to be installed as a single-layer, or in multiple layers as pneumatic cushions. 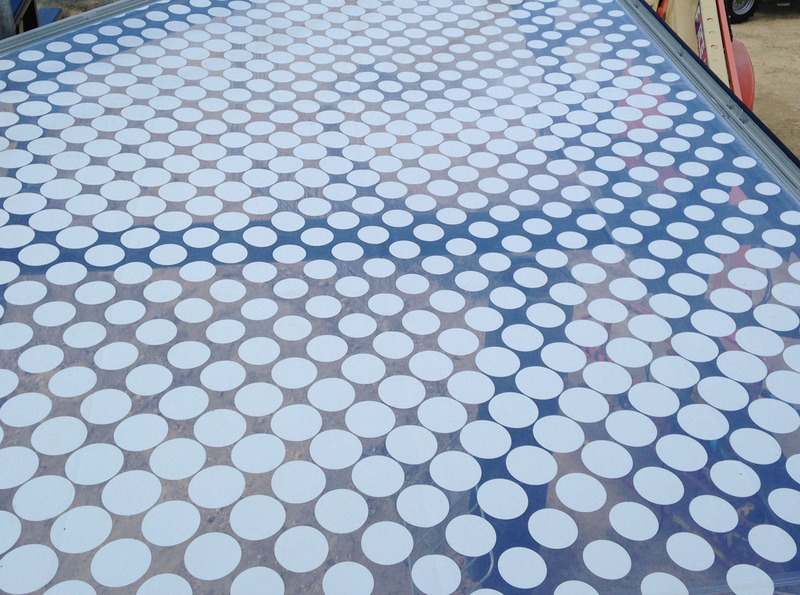 These ETFE pillows have a high light transmission, with the option to print frit patterns on the foil to control the translucency. They provide a seamless connection with the outdoors, whilst creating an aesthetic geometry and shape. 3. You need skylights installed in a traditional roofing structure, and require maximum light transmission and a lightweight structural support system. Unlike many other skylight materials, ETFE is UV resistant with the option to print on the foil to control light transmission. It can resist substantial water loads, and has self-cleaning properties. 4. You need to replace a polycarbonate canopy and are looking for longer lasting options. ETFE has excellent longevity at over 40 years, and is unaffected by environmental pollution and UV radiation. It will not become brittle, stretched or discoloured over time, as polycarbonate is known to do. 5. 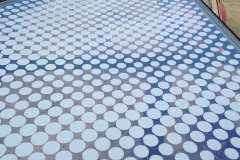 You want the best material for a canopy that is going to be LED lit for dramatic night time effects. 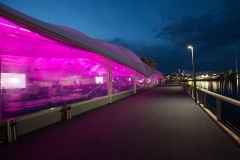 ETFE cushions can be integrated with LED lighting systems to light the pillows internally, making them glow. Lighting can also be projected onto cushions externally to create unique aesthetics. 6. You need to allow UV light through certain portions of a stadium roof (for grass growth), but want to predominantly use PTFE for the shade cover over patrons (to protect them from UV). ETFE can be integrated with other canopy materials, such as PTFE or PVC, to provide a section of roofing that allows UV light transmission to encourage grass growth on stadium fields. A combination of transparent and non-transparent materials can be used to manipulate coverage over certain areas. 7. You need to provide weather cover over a space, that also provides thermal control. The base material of ETFE is highly transparent, however the foil can be treated in various ways to manipulate its light transmission and manage the internal environment, such as frit patterning, solid colouring, or using multi-layered cushions. 8. You need UV light transmitted to keep plants growing in your enclosure or underneath your canopy. ETFE foil provides over 95% light transmission (single layer) with an excellent life expectancy. It is unaffected by UV light, atmospheric pollution, and other forms of environmental weathering, so it is perfect for atriums where internal gardens require UV light to flourish. 9. You need a material that is Section J compliant, fire resistant, and earthquake resistant. 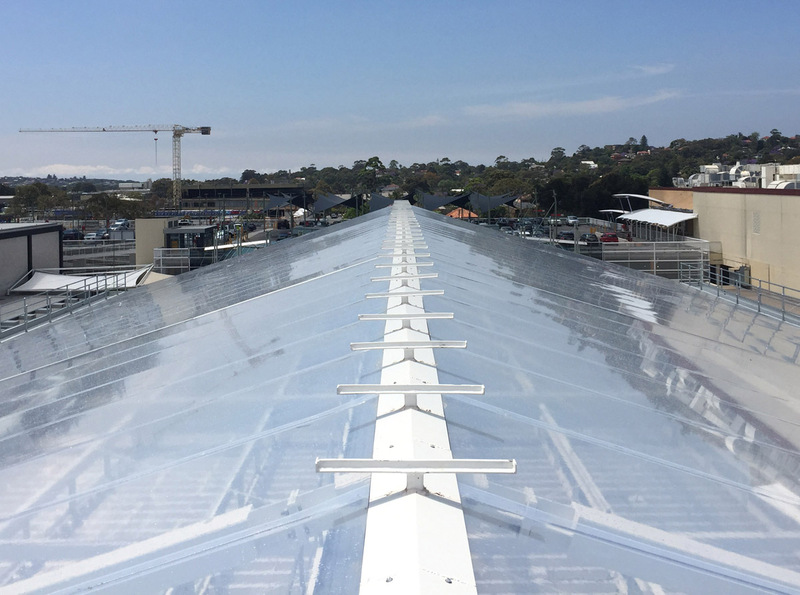 ETFE systems can be designed to meet various internal environment requirements to meet Section J, and is non-flammable under the Building Code of Australia (BCA). ETFE absorbs movement associated with earthquakes which helps avoid structural damage or failure like traditional cladding systems. 10. You need to provide seamless cover over pedestrian space between buildings. 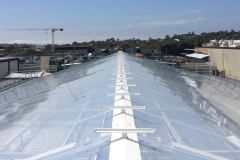 In cities with historic architecture such as Melbourne and Adelaide, the construction of weather protective canopies connected to existing buildings is becoming increasingly popular. Glass is an option often considered, but the loads imposed by the glass and framing system on the existing (often heritage) buildings are high and not always feasible. 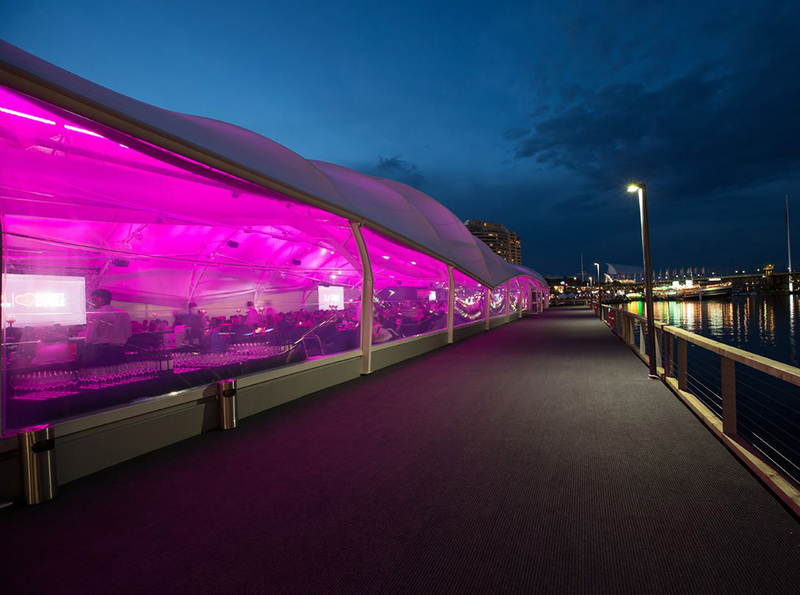 To learn about the technical properties, download our ETFE Technical Specifications Guide. Click here to view our ETFE projects.